This great photo comes courtesy of the Turpins, who reside in the suburbs of Chicago. Thanks guys - too funny! Wishing a HAPPY HALLOWEEN to everyone! 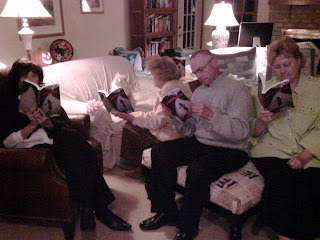 Halloween also means its the one-month anniversary of the "launch" of the book. And since its just as much about the great support its gotten from you, as it is me, Happy Anniversary to us! And last but never least, today is the sixth birthday of Jackson Thomas Ciccone, which makes no sense, since it seems like he just got here yesterday. Jack is my nephew, one of the great 5-year-old (now 6) baseball players anyone will ever see, and as Carolyn Whitcomb might say - he's got a great imagination, and he's just not gonna apologize for it. Happy Birthday, buddy! We just finished the first full week since the launch on October 1st, and I've heard from many of you over the last couple days that your book(s) has arrived. So it seems like a good time for an update. I don't know exactly what my expectations were for the first week, but whatever they were, it certainly surpassed them. I have heard from so many of you who have purchased the book - thanx! 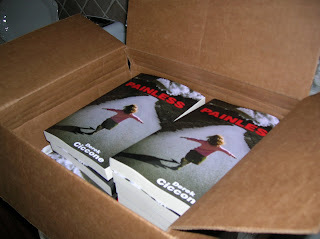 Painless has also been selected by a few book clubs/groups for their next book. 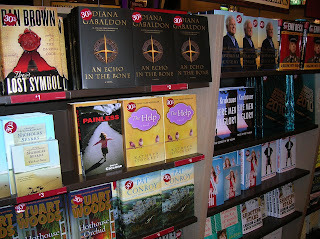 And the local Borders has been very enthusiastic about a possible display and "signing." But what has really blown me away is the number of responses I've gotten from people from all over who heard of Painless because "so and so recommended it for me." Thanks so much for everybody's support! I should have an update about the Web site and hardcover sometime next week. Currently in paperback. Hard cover will be ready in a couple weeks.